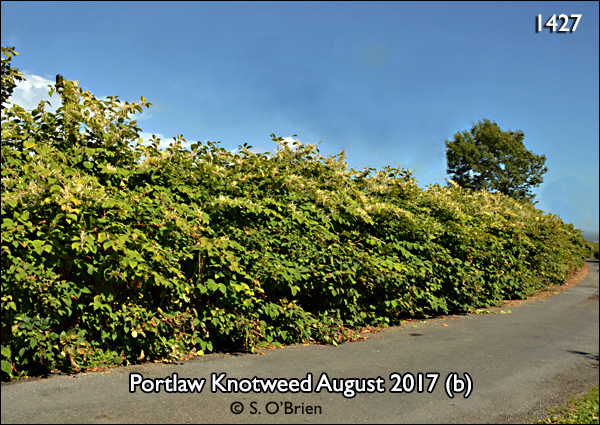 Portlaw: JAPANESE KNOTWEED once again . . .
JAPANESE KNOTWEED once again . . . Thanks to WLRFM radio for recently commenting on the situation, even if it was in County Cork. and was withered completely everywhere I went. 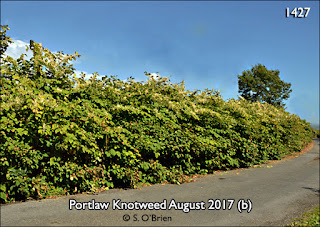 re Japanese Knotweed at Strand Road, Fiddown. The above photo, taken some days ago, shows only about half of the growth in that area. 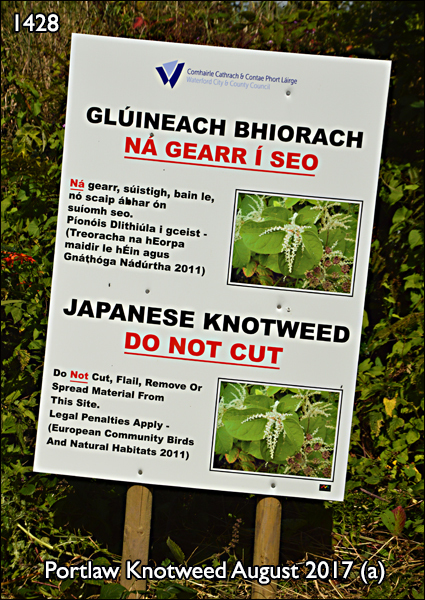 However, we are glad to say that three large warning signs have now been erected there. which should not be interfered with!